Stop throwing food away! The demand for quick meals and grab-and-go foods has lead to enormous food (and packaging) waste, to the tune of 70 billion pounds per year in the U.S. alone. This means that about 30% of all the food that is produced is thrown away. And most of what is thrown away is in good condition. Yet worldwide, 1 in 9 people are hungry. Wasting food costs money, water, chemicals, and fuel used to grow, ship, and prepare each bite. Often called the fallout of a “culture of rush” we can make more conscious choices to eat less pre-made food, shop at small ethical grocers, buy bulk, cook more meals from scratch, and eat leftovers from dining out. Americans throw away about one-third of our available food, and at the same time, 1 in 8 Americans struggle to put enough food on the table. According to the United Nations, globally, we waste about 2.9 trillion pounds of food each year, enough to feed the 800 million people around the globe suffering from hunger – more than twice over. 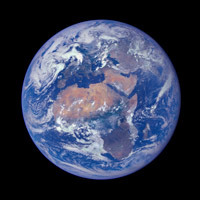 And the expectation is that this planet will be home to at least 2 billion more people by 2050. In developing nations food is lost due to lack of adequate storage facilities, good roads, and refrigeration. But in developed nations we needlessly waste more food farther down the supply chain. Retailers order, serve, or display too much, expiration dates are assigned far before food will go bad, consumers leave food behind after restaurant or deli meals, buy more than they can eat and so leave food to go bad in the fridge, or toss perishables before they’ve expired. Of the over 30% of all food produced in the U.S. that is wasted, 21 percent is by consumers and 10 percent by producers, according to USDA statistics. That is 133 billion pounds of food discarded every year, throwing away the opportunity to feed the 17.5 million food insecure households in America! 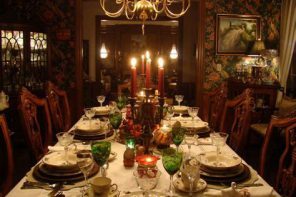 The Environmental Protection Agency estimates that the typical American family throws out about $1,600 worth of food each year. And what we consumers toss out is just the last step in a long chain of waste. Each year $160 billion worth of wasted food ends up in America’s landfills. When bags of lettuce and other produce end up in landfills, it contributes to climate change. As the food decomposes it releases the powerful greenhouse gas, methane. Some of the methane gas from landfills is being captured and converted to energy, but most of it goes into the atmosphere. 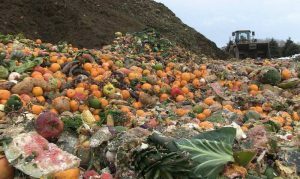 Here’s a perspective: If food waste were a country, it would be the third largest producer of greenhouse gases in the world, after China and the U.S. Wasting food takes toll on resources as well. Everything from the water, fertilizers, and seeds, to the land it is grown on and the fuel used to ship it. “Eighty percent of our water, 10 percent of our energy, 40 percent of our land is used to grow our food,” says Peter Lehner of the NRDC. 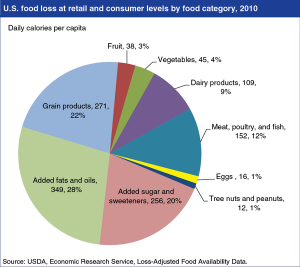 And, according to this NRDC report, up to 40 percent of the food produced never gets eaten. The cost of the water alone is astounding, especially in a world where water is an increasingly precious resource. It is estimated that running a shower for 104 minutes is how much water it takes to produce 1 pound of chicken. We wouldn’t run the shower for 104 minutes, but that’s how much water it takes to make 1 pound of chicken. And it takes 42 minutes running the shower for 1 pound of bananas. We’ve come to expect beautiful displays of cosmetically perfect fruits and vegetables. 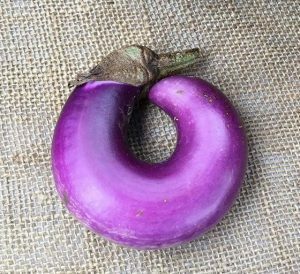 But, of course, nature comes in much more variety, like eggplants that grow curved instead of straight. Carrots that have multiple tips, apples dented by hail, peaches and strawberries that are misshaped, and pale yellow tinged cauliflower, are among the many reasons consumers refuse to buy imperfect produce. There’s nothing wrong with those heads of pale yellow cauliflower and they are just as tasty, crunchy and nutritious as the pure white heads. The yellow tint comes from sun exposure, but consumers want white, blemish free, perfectly shaped and sized heads, so the tinted ones are not marketable. Potatoes have the greatest weirdness factor, and 30-35% of those grown do not go to market. Besides unusual shapes, problems like “silver scurf” causes a sheen that can turn potatoes gray, or “hollow heart” which leaves a cavity in the center of the tater. These tubers are still tasty and edible, but farmers say no one really wants to buy them. If a farmer spinach that can’t be sold because the tips of the leaves got clipped during harvesting, there’s no incentive to pay workers to harvest it, because it can’t be sold as a standard bunch. For many farmers, it is easier and cheaper to throw away “unmarketable” produce and there is no financial incentive for donating produce to food banks. Only six states offer tax credits to growers who donate produce. There is a growing movement to promote and sell ugly produce. A French supermarket chain called Intermarche, the country’s third larges food market, launched a successful campaign for “Inglorious Fruits and Vegetables” to sell what they called “the grotesque apple, and the ridiculous potato.” In the U.K. supermarkets are also preparing to stock produce that doesn’t meet traditional aesthetic standards. Waltrose, the U.K. version of Whole Foods, stocked apples that were prominently marketed as “weather blemished” as the result of hail at its South African farm supplier, as well as imperfect carrots, eggplants and fruits. Imperfect Produce is a start up in San Francisco that rescues ugly produce and offer boxes of seasonal ugly fruits and vegetables delivered to Bay area residents every week for 30 to 505 less than grocery store prices. 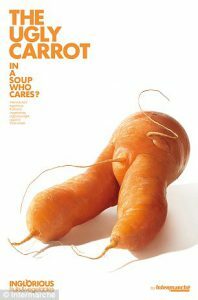 In Portugal, a food cooperative called Fruta Feia (Ugly Fruit) buys up produce too gnarly for supermarkets and sells it to customers attracted both to its lower prices and to its food waste prevention mission. Farmers get extra income instead of throwing the food out, or turning it under in the fields. So, what steps can be taken to waste less food and get it into hungry stomachs? It would be far easier to feed nine billion people by 2050 if more of the crops we grew ended up in human stomachs. Today only 55 percent of the world’s crop calories feed people directly; the rest are fed to livestock (about 36 percent) or turned into biofuels and industrial products (roughly 9 percent). Though many of us consume meat, dairy, and eggs from animals raised on feedlots, only a fraction of the calories in feed given to livestock make their way into the meat anNNd milk that we consume. For every 100 calories of grain we feed animals, we get only about 40 new calories of milk, 22 calories of eggs, 12 of chicken, 10 of pork, or 3 of beef. Finding more efficient ways to grow meat and shifting to less meat-intensive diets—even just switching from grain-fed beef to meats like chicken, pork, or pasture-raised beef—could free up substantial amounts of food across the world. Because people in developing countries are unlikely to eat less meat in the near future, given their newfound prosperity, we can first focus on countries that already have meat-rich diets. We can rethink our shopping habits and only buy what we know we can eat. And stop throwing food away!